Family of the nephew of the Dalai Lama that was tragically killed by a truck while walking to bring attention to Tibet pledges to continue his struggle. 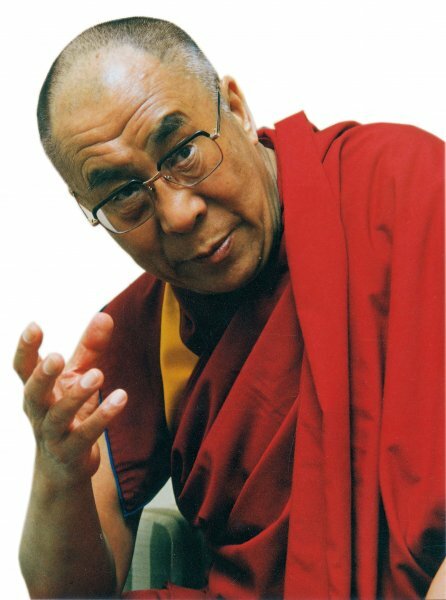 A brother and two sons of the Dalai Lama's nephew say they'll complete his walk to bring attention to the campaign for freedom in Chinese-controlled Tibet, picking up where the Bloomington, Ind., man died last week [14 February 2011] in Florida. Jigme Norbu's brother Kunga Norbu, center, seated with Jigme's son's Tenzin Norbu, left, and Jensen Norbu, thanks the media after announcing during a press conference he will finish the walk in Florida his brother Jigme began before being killed by an SUV, Kunga Norbu and two of Jigme Norbu's sons plan to continue the walk Wednesday through Saturday [23-26 February] in Florida. The Herald Times of Bloomington says 13-year-old Tenzin and 9-year-old Jensen Norbu will walk. Their 6-year-old brother won't make the walk due to his age. The 45-year-old Jigme Norbu was struck and killed by an SUV Feb. 14, about 25 miles south of St. Augustine. It happened on the first day of a 300-mile walk. The family also says it will have a memorial service March 1 at Bloomington City Hall.